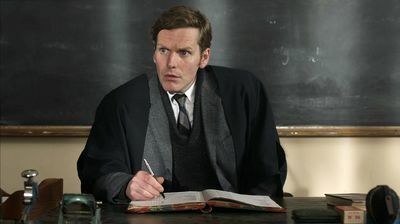 After the mysterious disappearance of a teacher, Endeavour finds himself undercover, investigating the dark and secret world of a public school. When a body is unexpectedly discovered, Endeavour has to question who he can trust - and uncover the truth about the crimes before more people are hurt. Meanwhile, with news that Cowley Station is due to close, Thursday is determined to solve the ongoing unsolved murders linked to Eddie Nero, and charges Fancy with tracking down the elusive Cromwell Ames. But when the investigation ends in disaster, Cowley CID find a surprising link to Endeavour's investigation at the public school. In the shadow of the tragedy, Endeavour and Thursday find some unexpected answers to their cases.